Hello, fellow Witchlanders! I hope you’re all as excited as I am about Susan Dennard’s upcoming tour for her latest in The Witchlands series, Windwitch! We’re lucky enough here in Salt Lake City to get to have both her and Alexandra Bracken stopping by The King’s English during their joint tour, and I, for one, cannot wait to meet these two incredibly talented ladies! 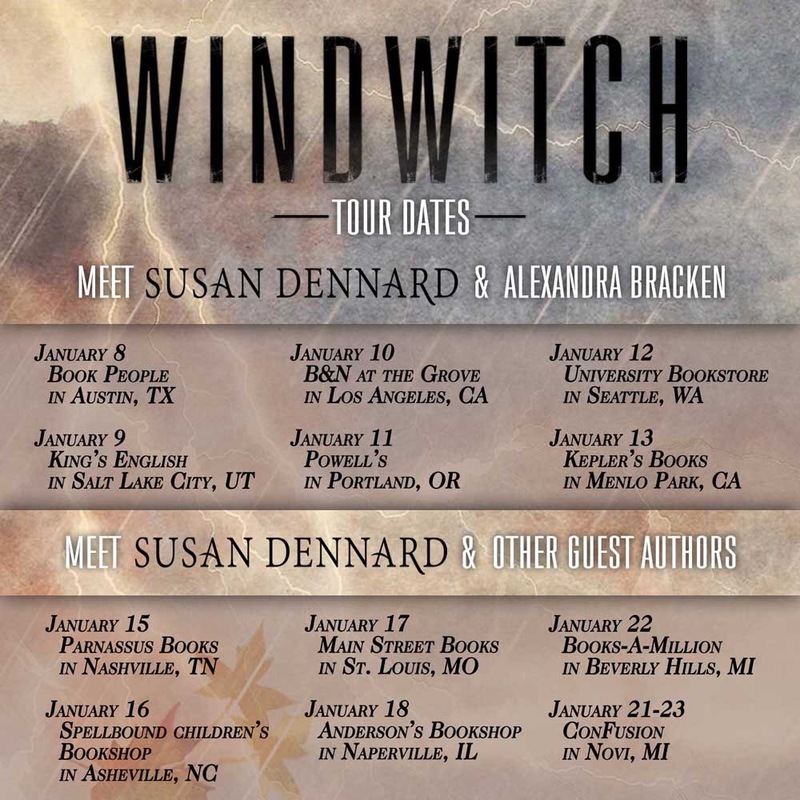 Check the Windwitch Tour Schedule below to see if Dennard will be stopping at a bookshop near you! If this book is even half as good as the sneak peek that I read on NetGalley, then it’s going to be AMAZING! You can read my review of the sneak peek here. Bring on the 2017 reads!! !